The Fab Four did it first, of course. As an antidote to all the extravagant (and horrible) rip offs of the celebrated Sgt Pepper sleeve artwork, Paul McCartney decided that the band's next album should feature something completely different. 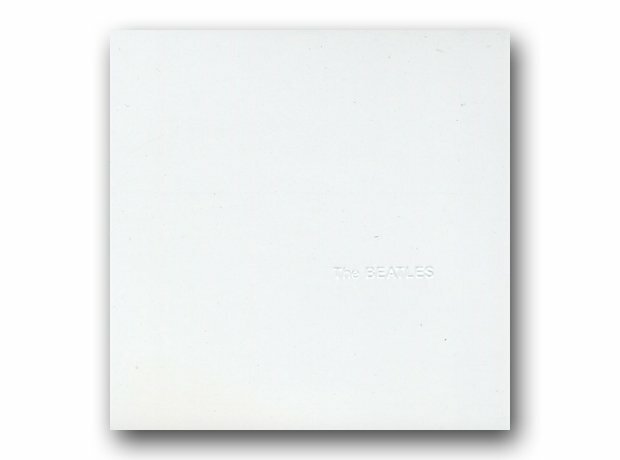 Most commentators though that the empty white sleeve, with an embossed title and an ironic "limited edition" number was the work of Yoko Ono, but was actually designed by "pop" artist Richard Hamilton.